Just like his Great Uncle Burt *, as he was fondly called, Lee has a passion for motorcycles – both racing, repairing, rebuilding and fine-tuning them. Burt Munro set an under 1,000cc land speed record at Bonneville Salt Flats, Utah, USA in 1967, and became famous after the release of the movie ‘The World’s Fastest Indian’. As well as Lee’s vast mechanical knowledge, he has also established a small racing team, including the assistance of a well-qualified mechanic. 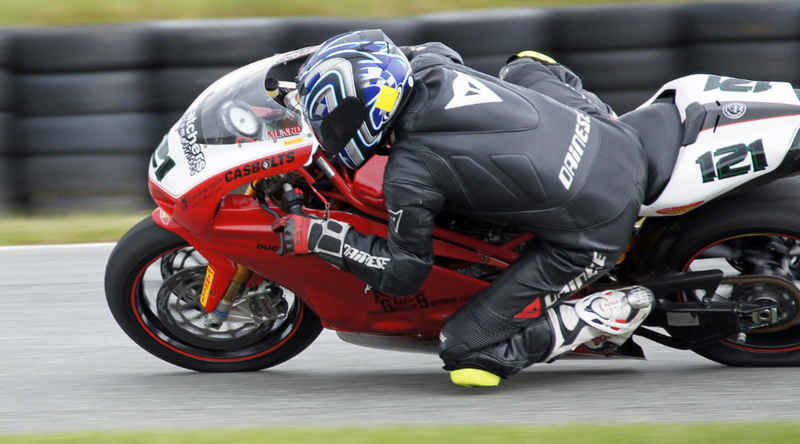 Lee has great motorcycle control, enjoys breaking his personal limits, is well experienced and consistent in every race, which shows in his results. “Racing is deeply embedded in my blood. I want Burt’s memory to live on through my racing career, and provide spectators and those involved with quality entertainment. I believe that with enough support I am fully capable of achieving higher success within championships.” – Lee Munro. *Burt Munro and Lee’s grandfather are first cousins.